Not all Destin Rentals have Million Dollar Beach House Views! Everybody know’s about the sugar white sand of Destin Florida, that’s why we go there. There is no doubt that nothing beats the beauty or cleanliness of the Emerald Coast Beaches. 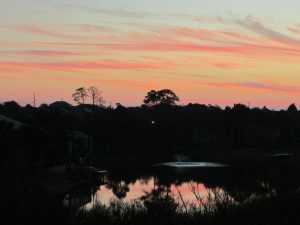 Destin vacation rentals views have so much more to offer. It’s truly a world class experience. Just look a little further out and notice the water on a calm day. You will see right down to the bottom, where little fish are swimming around you. On a windy day there will be waves, waves that lift up an incredible translucent emerald green. Of course the beach beams with life you wont see normally. All this makes for a wonderful relaxing day of simply enjoying nature. Only the locals and die-hard beach goers know that during the fall the sunsets move from behind the condo towers. This makes an amazing spectacle as the sun sets over the ocean. As you pull back from the beach along scenic 98 or 30a you can’t help but be impressed with Beach Cottages lining the road. Planning departments have done a wonderful job setting requirements for neighborhoods to have that special look. The wife and I started renting down here about 15 years ago in the 30a Seagrove area. We explored Seagrove, Seaside, Miramar, and Destin. We noticed some differences in the neighborhoods that added or detracted from our enjoyment when off the beach. While Beach Cottages in themselves have that quaint look, we always wanted maximum exposure to the natural beauty of the area. With many of the Destin vacation rentals, when you look out the windows, you see another home, or their back yard, and they see into yours. We all know this is what happens with prime real estate. They build them closer and closer together. In my opinion this is part of the reason 30a is gaining popularity over Destin beach house rentals. 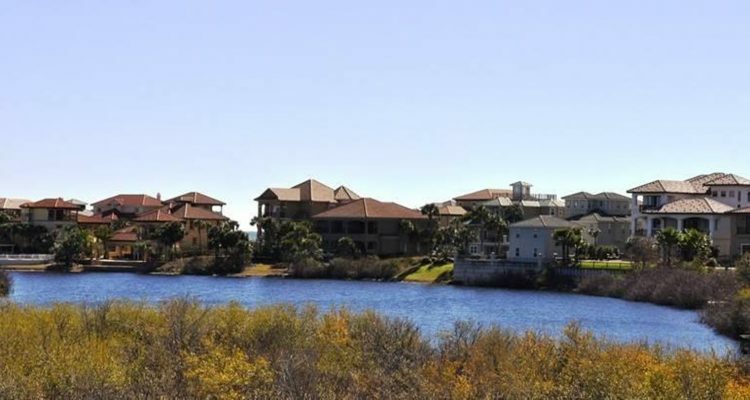 Many of the Destin communities are very cookie cutter with houses a few feet from each other. But that’s not to say all of Destin vacation rentals are that way, and perhaps the quaint cottage look is enough for you. 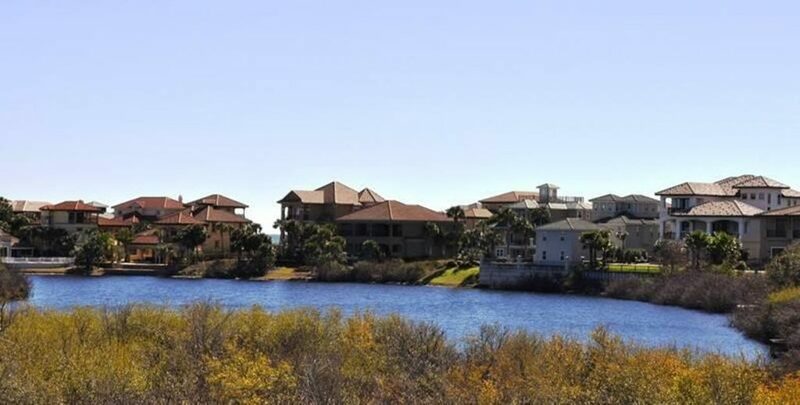 The Crystal Beach area has many wonderful neighborhoods. These have charming houses very close to each other, and they are very popular. Many of the Gated Communities fall victim to the tiny land lots where all you see is the cottage next door (and they see you). So 30a draws people away from the crowded city. However, that same crowded city will always draw you back because it is the hub of the shopping, dining, and activities. Be sure to read our blog about the Destin Night Life and where to listen to live music! When we started looking for a second home in the area, we made our realtor show us some 30 homes from Panama City to Destin Florida. Panama City dropped off quick, and Destin was a long shot due to our not wanting be inundated with the crowds and crowded houses. One neighborhood we looked at immediately struck us as different. We could tell the houses were not rental machines, but rather owner occupied because of how pristine the whole neighborhood was. Amazing Live Oak trees lining the neighborhood. Kokomo Kove had the charming beach cottages we were looking for. Additionally, there were also the most intriguing twisted oak trees throughout the streets. Many of these look to be over 100 years old. Live Oaks and Palm Trees were everywhere in this neighborhood. We were feeling pretty good about the house we were going to look at before we even saw the house. If you are familiar with the popular Crystal Beach area, you may know Luke, Dolphin, Pompano streets. These streets are filled with cute cottages lining them. Then venture into Kokomo Kove and you will notice the big difference. The houses are just across the street from the beach, and the trip down the street to the beach is just majestic! 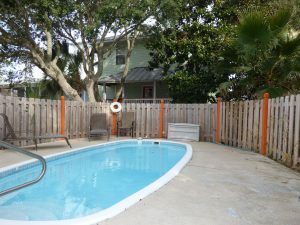 As far as Destin vacation rentals go, we were feeling this one could be special. Ok, so what about this house, and what about the view? View over the Lake out back. So this house had listed that it was lake front and had a pool. As far as views go, nothing beats the beach and ocean view. Beach houses with these views cost north of a million. We were setting our sights quite a bit lower than that so we were not expecting a million dollar view. To be honest about the pool, my early inclinations were fearful because I knew nothing about them. I did know they cost extra, and we have the beach so who needs a pool. Maybe you’re laughing at what a bozo I was, I know right. We walk into this house and see that lake straight out the back window. Wow, it was just amazing. As far as Destin vacation rentals go, we’ve not seen anything like it. It is the lake from Destiny West with million dollar houses lined all around it (pretty to see, but far enough not to hear). Upstairs there were two of the bedrooms with glass doors opening up to another balcony with an even more astounding view of the lake. At a place with a view like this, time away from the beach won’t really be down time. Getting up early to watch the sunrise over that lake is just incredible. Barbecuing on the balcony is just a pleasure as you are musing at that lake. Looking back, the house was quite a fixer upper, and the best view from the main floor had been completely blocked off. From the best seat on the couch for watching TV, you also have the best seat for watching that lake too. I often find myself gazing out there over the TV. I’ve done it often enough to notice that there is a Sea-hawk (Osprey actually). 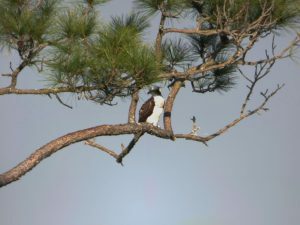 This guy hangs out in the gargantuan tree overlooking the lake. From time to time, he swoops down into that lake and grabs your attention. Then up he goes with a big fish in his talons. On cloudy days where you don’t want to venture down to the beach, you will be pleasantly surprised by the beauty of the clouds over the lake. Sunsets are just astonishing as you can see from some of our pictures. You must admit, a view like that is way better than the wall of another home! Now we’re thinking this will rent very well as one of the Destin vacation rentals and we would personally love staying here! As I said, the house needed some work and I wasn’t sure about the pool situation so we looked at this one 3 or 4 times. Always impressed by the neighborhood and view, but unsure of the work needed and the pool. Each time my realtor would impress upon me that renters want a pool. We made an effort to speak with any neighbors we would see and they too would also say, “the house with pool, you will do well”. So I was starting to feel another one of those I know I don’t know moments and accepted the pool. That right there was critical, Destin Vacation Rentals should have a pool! We bought the house in the winter so we didn’t appreciate first hand how awesome that pool is. We learned to come back from the beach on a scorching hot day and dip into that pool is really nice. The fact that it is fenced in is really nice for the privacy, and being that we are at the end of a dead end street adds to that seclusion. 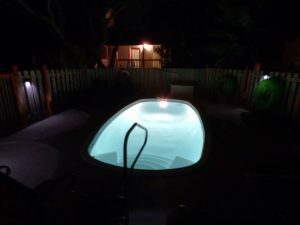 We started noticing other Destin vacation rentals and how the pools were not very private at all. his phenomenal pool put in, he could hardly rent his house. After the pool, no problem. After my first rental season and experiencing the pool for myself, it is definitely a must have. It’s so warm at night during the season that it is even fun going out there after dark. In keeping with our ideals that being away from the beach away doesn’t have to be a let down, my wife has done a wonderful job decorating the beach house. As you move around your eyes catch the various touches of ocean decor throughout, you will appreciate that the views are important for Destin vacation rentals! View of the Lake out back from the balcony. 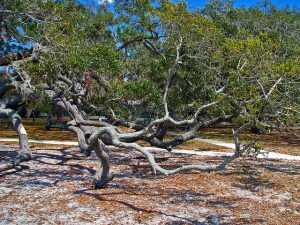 Here are some other reasons from the main website why you will love this Destin Beach House rental. Isn’t it easy to get sick of work, sick of stress and sick of a fast-paced life these days! The cure? A quiet getaway at your Destin Vacation Rentals Destin Florida Fl should be Doctors Orders in Kokomo Cove! 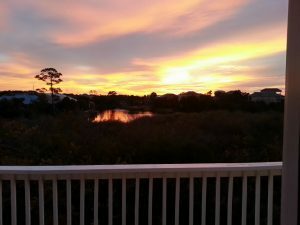 If your choice for Destin vacation rentals is Doctors Orders, you’ll enjoy how it sits just enough off the beaten path to offer real peace and tranquility. Most of all, there are no parking lots, cement jungles or noisy neighbors here! It’s wooded surroundings encompass views of two inlets. The Destiny West lake speckled with charming wildlife that call it home. Doctors Orders Beach House is just one block from the sugar white sands of Crystal Beach. The clear waters of the Emerald Coast will leave you awe struck. During the season the water is warm and Crystal Beach is shallow enough to walk out for quite a way. See the live cam feed of Crystal Beach, Florida Fl, just a few hundred feet from our private beach access. You will be amazed when you look down through the clear waters. Then you will see your feet at the bottom with fish swimming around your ankles. The tranquility is just what the Doctor Ordered! Since you’re in no hurry to get back, be sure to stay through dusk. Just when you thought the sights of the day were better than you’ve seen in years. You can look up and enjoy the sunset on Crystal Beach with nothing to obscure your view for miles. 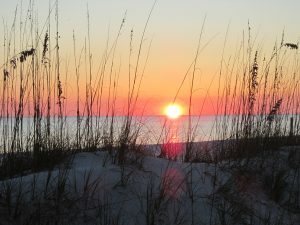 You will enjoy the Million Dollar Views if your selection of Destin Vacation Rentals is Doctors Orders Beach House.